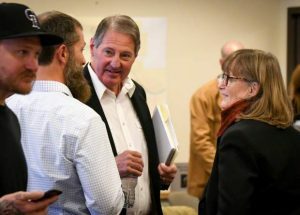 The Glenwood Springs City Council declared opposition to the state proposition that would fund a backlog of state transportation projects Thursday. Proposition 110, one of two measures on the statewide November ballots sent out this week that address state transportation funding, would pour $6 billion into Colorado Department of Transportation (CDOT) projects through a 0.62 percent sales tax. That amounts to just over 6 cents for each $10 spent. The council had two possible resolutions on the agenda Thursday, one supporting and one opposing Proposition 110. “The concern I have with 110 is that we will be collecting about $3.1 million sales, we will be receiving somewhere in the range of $350,000 in return,” Mayor Michael Gamba said. 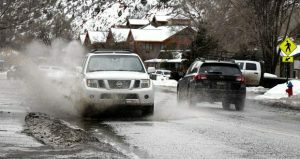 Some councilors noted that, even though Glenwood Springs wouldn’t receive much from the projects CDOT would fund if Prop. 110 passes, Garfield County is not in the same boat. The county would expect to receive $80.1 million from the state for local projects over the next 20 years. Councilor Jonathan Godes said that county commissioners said they’d have more flexibility to fund Glenwood Springs projects if 110 were to pass. The Garfield County commissioners stopped short of officially supporting the proposition at their meeting Oct. 8, though most of the commissioners said they privately support it. 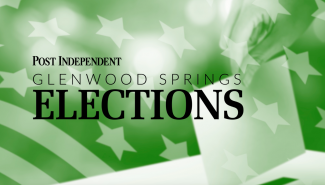 Godes opposed the measure because the 0.62 percent tax imposed if the measure passes would get some part of Glenwood Springs close to a 9 percent sales tax, which limits the city’s ability to increase the local sales tax. Councilor Shelly Kaup said she wanted to support Prop. 110 because it would be good for the state, and good for the Interstate 70 corridor. 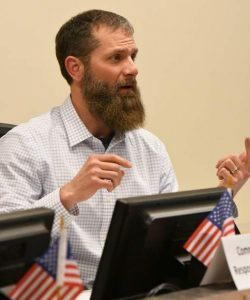 The backdrop to the council’s decision followed a contentious work session with CDOT earlier Thursday, where the state agency informed council members of its plan to increase commercial truck parking spaces on the state right-of-way in West Glenwood. Gamba said he does not oppose funding transportation appropriately for the state, but he thinks CDOT is on the wrong path with how they approach projects. “I’ve actually spoken directly to the state transportation commission, I have argued to them that there is one issue they are missing the boat on: They have a current policy that is state money will not be spent on any off-system improvement,” Gamba said. 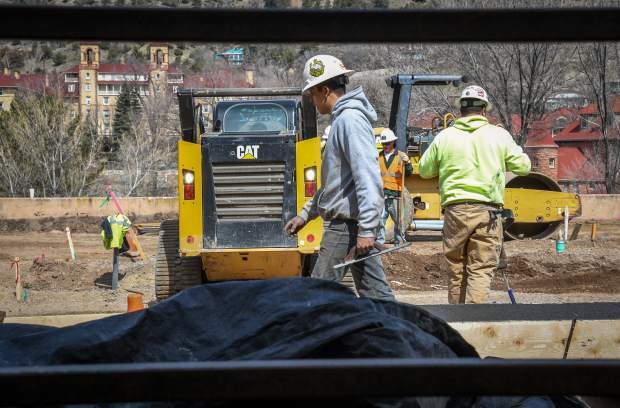 If Glenwood Springs were building Midland Avenue to the Exit 114 interchange today, rather than 20 years ago, the city would get no money from the state, Gamba said to illustrate his point. The council declined to consider a resolution supporting Proposition 109, which would increase bonding authority for the state to borrow $3.5 billion to work on 66 designated highway projects.